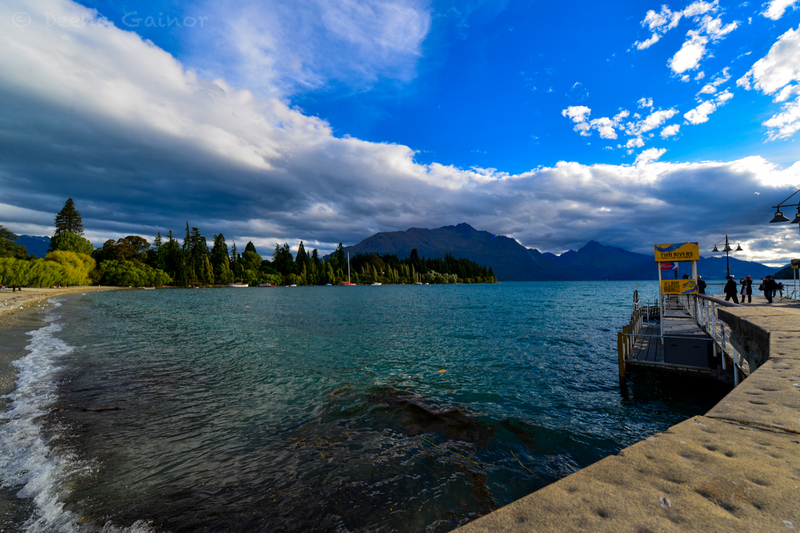 We visited Queenstown after leaving Milford Sound. It was another must see destination and quite honestly, we could have spent three or more days here, just exploring all of the shops, restaurants, and surrounding activities. Here’s the beginning of our journey to Queenstown. 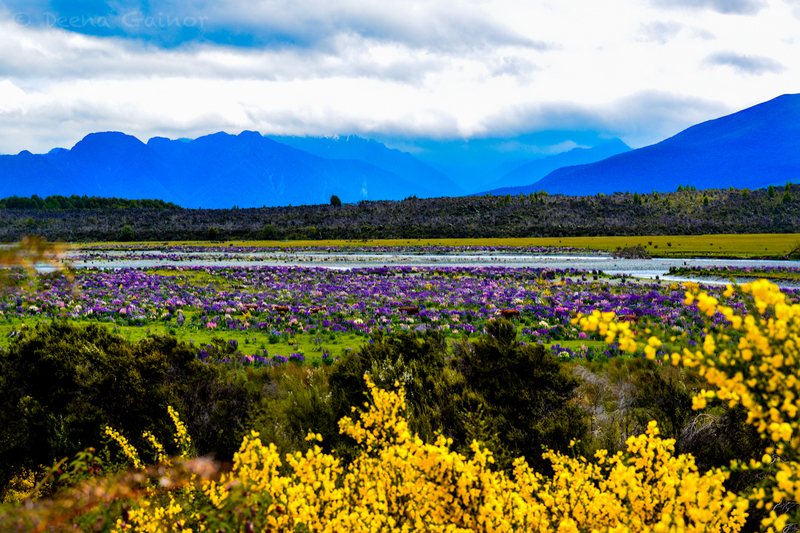 It started with dramatic snow capped mountains and gushing waterfalls, then transitioned to soft blue mountain backdrops with purple, yellow, and pink flowers and green blue lakes. 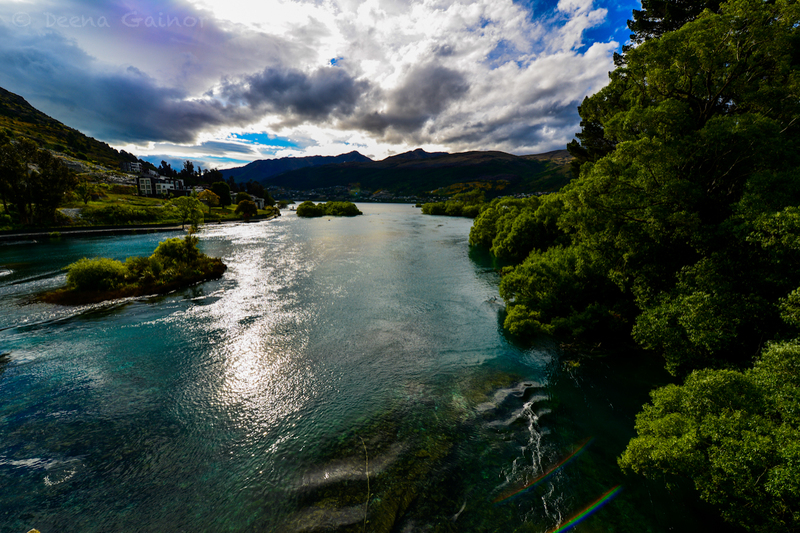 Next, we crossed over a flowing, bright blue river as we entered Queenstown. It was quite a lovely welcome. 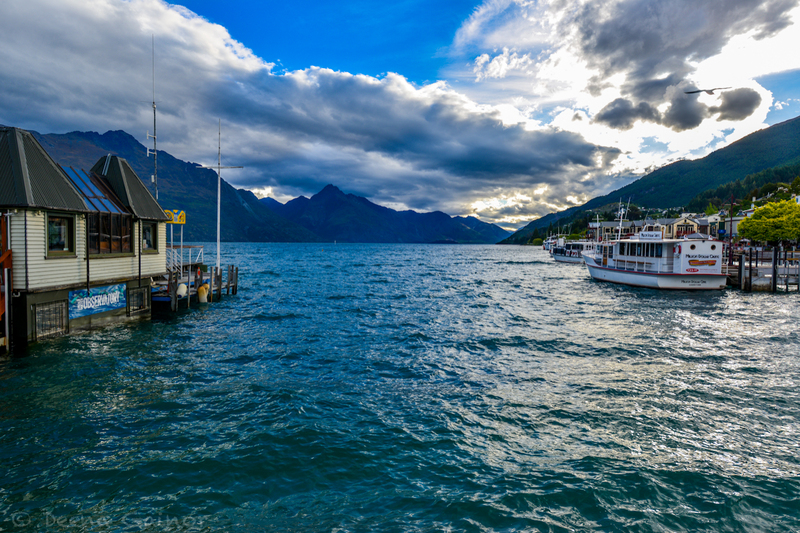 Queenstown is a lot larger than we anticipated and their lakefront area is wonderful. There are many different activities, restaurants, and shops in the area. We found an amazing ice cream/gelato/chocolate store with fantastic water views called Patagonia. The first time we walked by it, we just assumed it was a clothing or travel store, but thankfully we didn’t make that same mistake again! Here are a few views from shore. 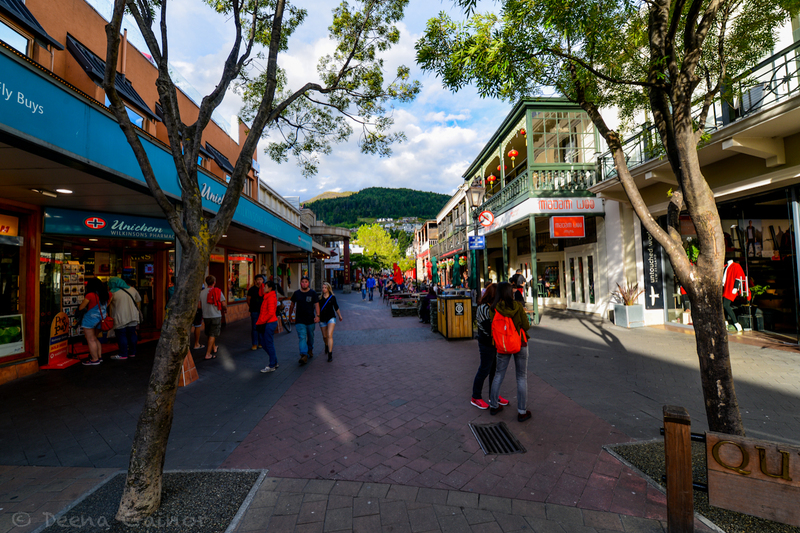 Queenstown is a great town to explore on foot. 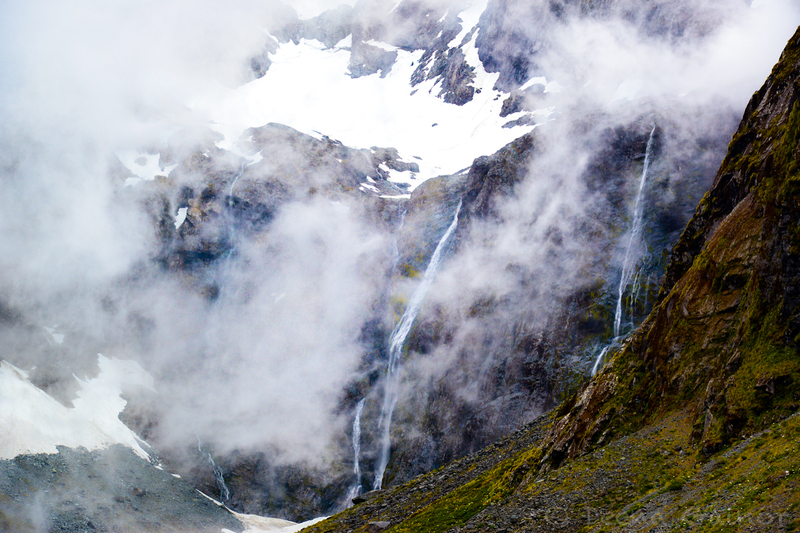 We liked it so much, we spent two full days exploring, one before Milford Sound and the second after we returned. And of course, we love our food. 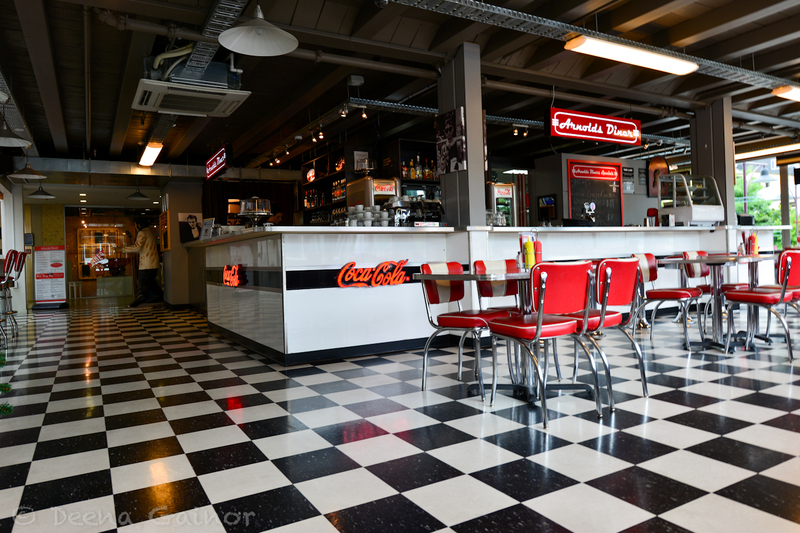 We stumbled upon this awesome diner that served what I must say are the BEST pancakes I’ve ever had. Honestly, they were so good. We asked if they could share their secret and while they seemed open to the idea, their response of “extra Vanilla” did not seem to cut it. So I guess we’ll always wonder what that secret ingredient was. Wow! Quick Campervan Tip: Definitely skip the holiday camp parks here. They seemed cramped, crowded, and dirty. If you want to freedom camp here, there is a great spot just outside of town, maybe an eight minute drive. It’s almost hidden underneath the bridge you cross entering the town, and sits along a lovely stretch of river overflowing with flowers. There’s even a great stretch of green lawn where you can run, play, or toss a football, which is what we did. Awesome spot and almost unknown, as there were only a few other campers there. Perfect and free! You may want to refer to “Campermate” for more specific directions.